located in the center of Jerusalem close to the main sites and the Mahane Yehuda market. 37 rooms are furnished reflecting the local culture, rich breakfast and free refreshments in the afternoon and free Wi-Fi. 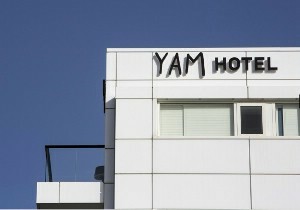 Yam Boutique Hotel located 3 minutes` walk from the beach & the most popular pubs and night life of the city. 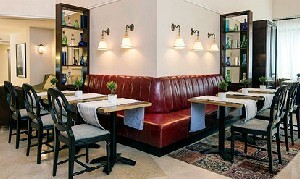 43 Air-conditioned rooms with, Safe, Coffee/tea set, free Wi-Fi. Oslo in the hotel, Happy Hour with wines & snacks, Breakfast on Balcony with a sea view. Market House Hotel is situated on Beit Eshel Street next to the Jaffa Clock Tower and the Flea Market offering free Wi-Fi and Free bicycle rental. 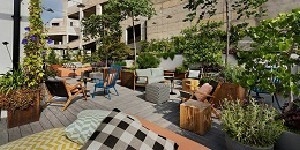 Center Chic Hotel is located on Dizengoff Square full of shops, bars, banks & restaurants. Just a 10 minute walk from the Frishman beach. The hotel offers free Wi-Fi and bicycles. 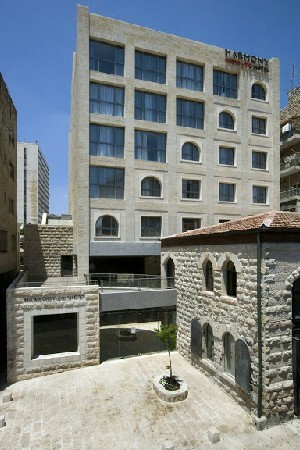 In the heart of Nahalat Binyamin Street, is the Fabrik Hotel. 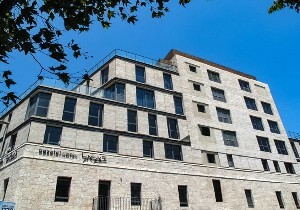 The building, used decades ago as a sewing factory, has become a 43-room hotel for people who love the nightlife and holyday. On the entry level is Cafe Bushwick, TV with a built-in Netflix app, a Nespresso coffee machine, Sun roof balcony, borrowing bicycles free, free Wi-Fi is available. Sadot Hotel situated in the ``Assaf Center`` mall, a 10 min drive to the Ben Gurion Airport and a 2 minute walk to the Medical Center. The hotel offers free transfer to the Airport. Artplus Hotel is steps away from the Frishman Beach and located on a street full of shops, cafes and banks. 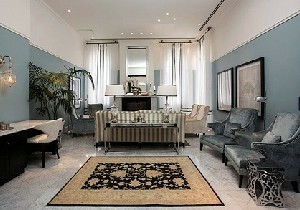 The hotel is dedicated to Israeli art and offers free Wi-Fi & parking. Arthur Hotel is a 3 minute walk to the Jerusalem Light Rail and a 10 min walk to the Mamilla Mall featuring boutiques and fashion chain stores. 5 minute walk to the Time Elevator. 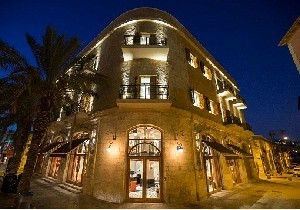 Harmony Hotel is a 10 minute walk from the Old City and just 5 minutes from the new Mamilla shopping center. 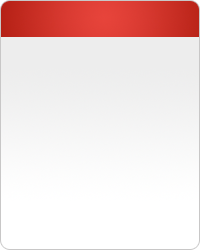 The hotel offers Wi-Fi, evening refreshments & parking for free. 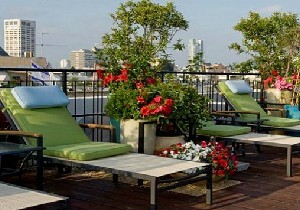 Tal Hotel is a five-minute walk away to the new Tel Aviv Port. All air conditioned rooms include free Wi-Fi access, coffee/tea set and cable TV. Melody Hotel overlooks the Tel Aviv beach and Independence Park and offers free evening refreshments & drinks, free Wi-Fi and a DVD library. 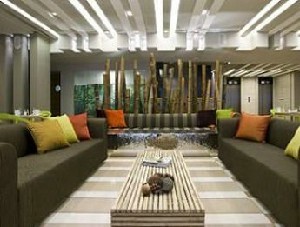 Nova Like Hotel is situated near the central bus station and within walking distance to the beach. All rooms include a kitchenette and free Wi-Fi. Cinema Hotel near the Tel Aviv beach, with original projectors & movie posters, offers classical movies screened with popcorn, free Wi-Fi & bicycle rental. Shalom & Relax Hotel styled as a beach house, overlooks the Hilton Beach and offers an in-room computer, Wi-Fi, air conditioned rooms & free evening refreshments. The staff are very friendly and the receptionists are very accommodating, clean and new rooms are a winning location, a little trouble finding parking but that's the way it is in every cell ... Overall we enjoyed it and there is no doubt that we will return again and again for a great price. We are returning customers for many years, and the very act of returning shows that we are satisfied, thank you very much. 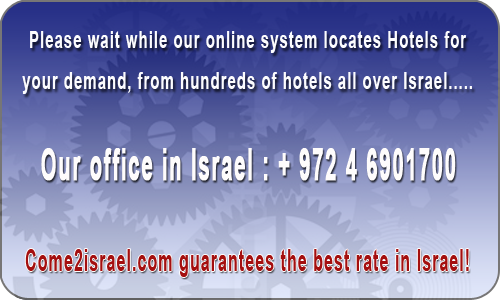 Tel Aviv Hotels, Jerusalem Hotels, Haifa Hotels & Eilat Hotel – The Atlas Hotels in Israel is Israel´s leading hotels group. 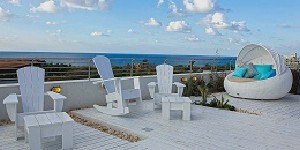 Our chain features 9 hotels in Israel: Tel Aviv Hotels, Jerusalem Hotel and Eilat Hotel. 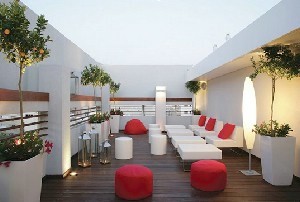 Each of our hotels in Israel is characterized by a distinctive design. 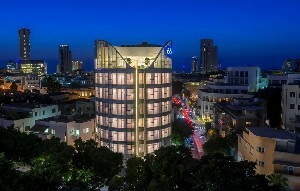 The Tal Hotel in Tel Aviv is the Israel hotel for everyone. 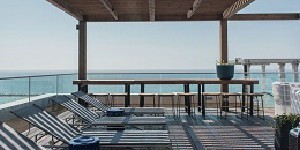 It offers the winning combination of comfort, a wide range of leisure activities, and the ultimate location in the exciting city of Tel Aviv, Israel.